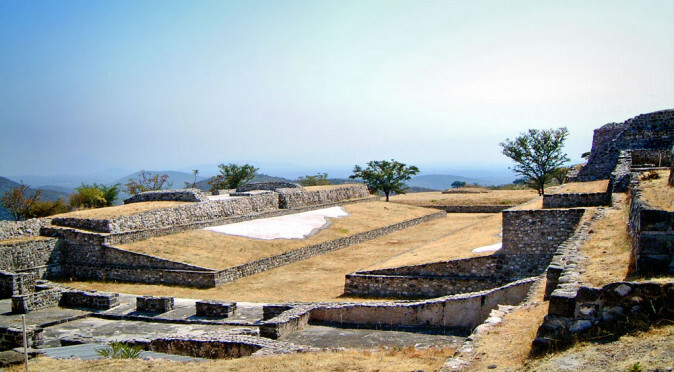 Looking out majestically from a hilltop 10 miles south-west of Cuernavaca, the city of Xochicalco dominates the landscape, with its enormous white stone structures gleaming in the sun. 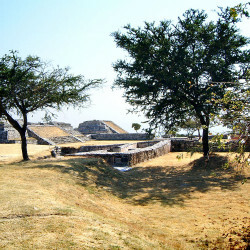 The archaeological zone is large and its many ruined buildings have been wonderfully pieced back together to provide an enchanting insight into how Xochicalco would have looked before it was abandoned a millennia ago. 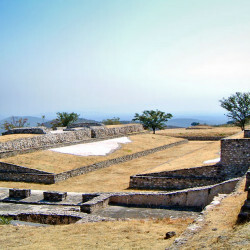 Xochicalco is thought to have been developed into its present assemblage between 650AD and 900AD – at which point the city was suddenly abandoned. 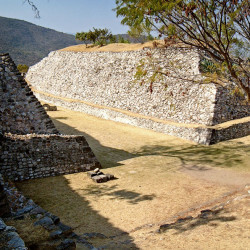 Exactly why Xochicalco was abandoned after just 250 years of occupation is one of an intriguing list of curiosities that continue to perplex historians – a list that also includes: why the city’s inhospitable location was chosen; what function the city played within surrounding the areas; and how it fitted within the great trading network of Classic Period Mesoamerica? 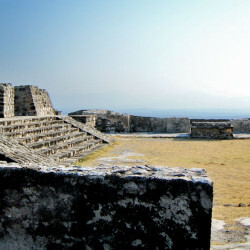 But the greatest mystery of all, is who built the city and who lived here? 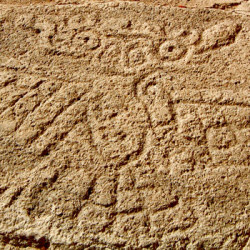 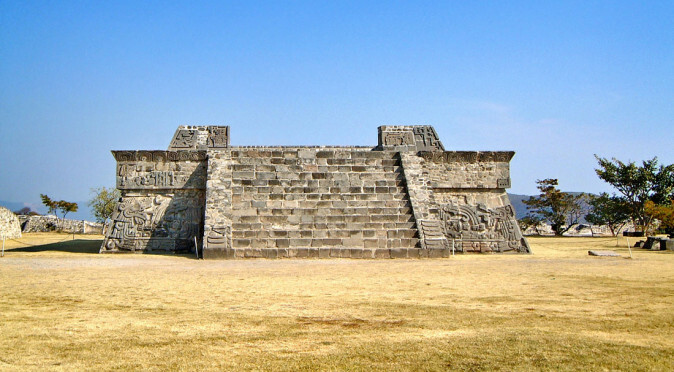 This seemingly simple question has appeared to become harder to answer as research continues – and this makes Xochicalco one of the outstanding enigmas of Mesoamerican history. 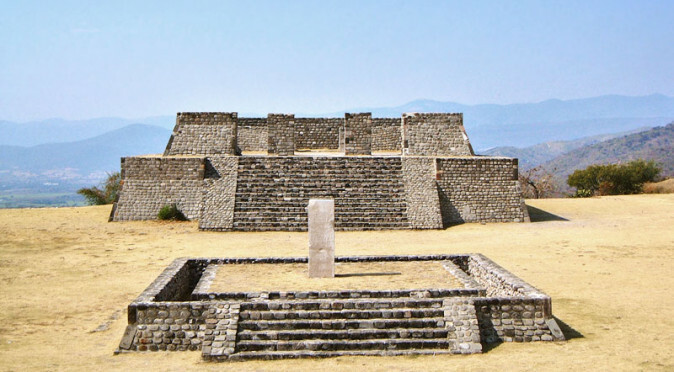 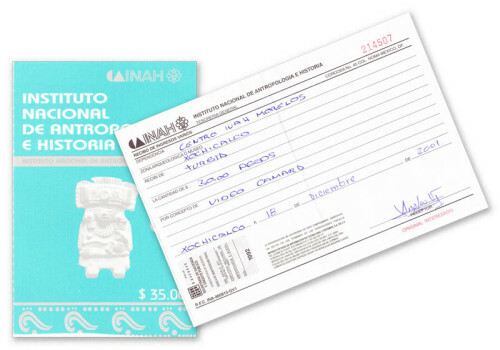 Unusually, the mystery of Xochicalco’s founders isn’t caused by a lack of evidence. 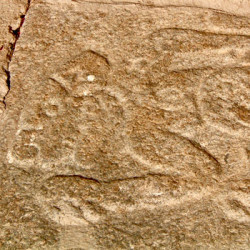 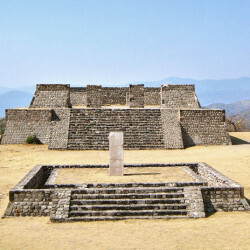 In fact, there is ample evidence found within Xochicalco’s architecture, carvings and stelae, that provide evidence of who resided in the city in it founding years. 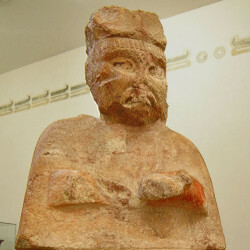 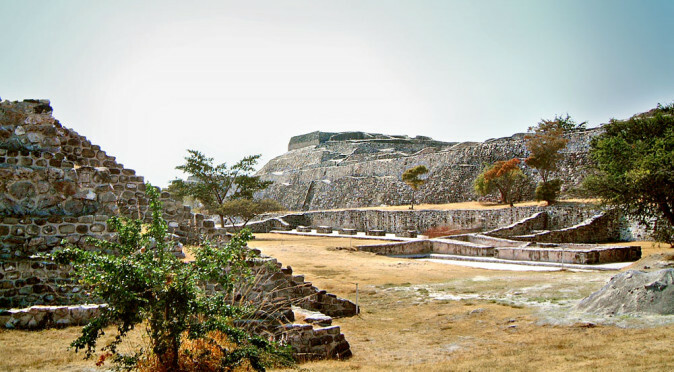 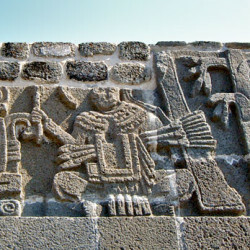 The problem is that there is evidence of several different cultures occupying Xochicalco within a short period of time, including the Teotihuacano, Maya, Zapotec’s and Olmeca-Xicallanca. 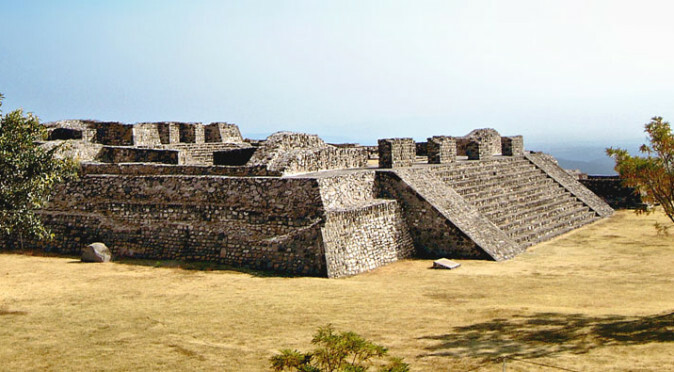 This has brought about a general theory that Xochicalco was a strategically placed fortress, built to dominate the area and act as a trading hub, where goods and ideas were freely exchanged as the city swelled into a cosmopolitan melting-pot that celebrated transcultural unity. 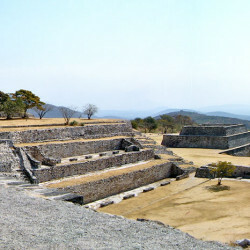 Yet, walking around this beautifully crafted city, with its carefully arranged precincts, precisely aligned buildings, and spectacular views of the horizons from east-to-west, and you can’t help but feel that its purpose was far more subtle and enigmatic (and this is discussed at length in the article Xochicalco: A Brief History). 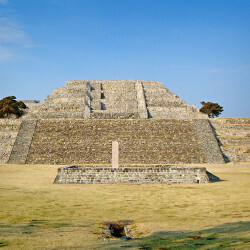 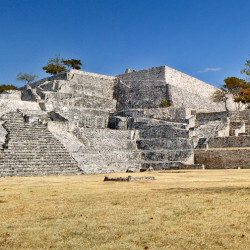 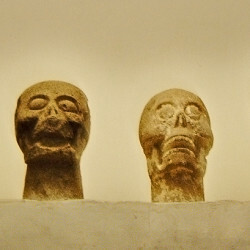 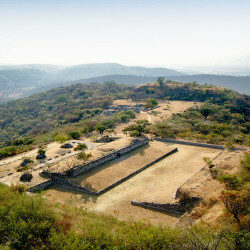 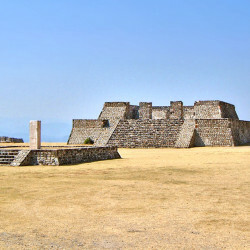 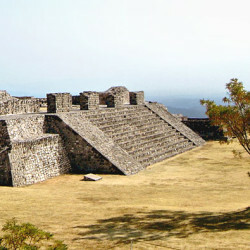 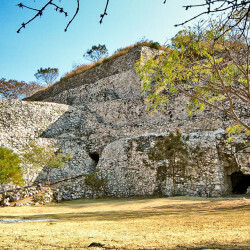 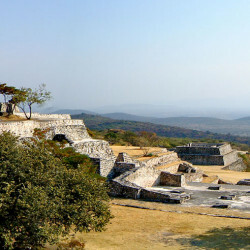 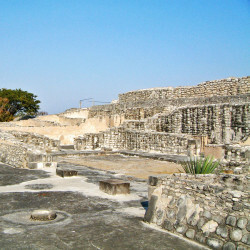 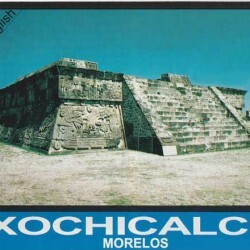 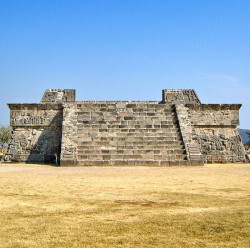 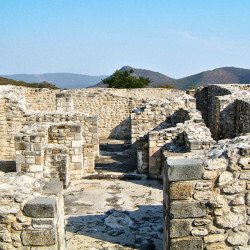 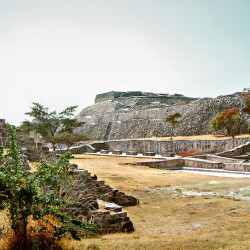 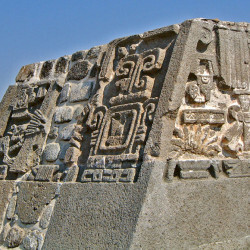 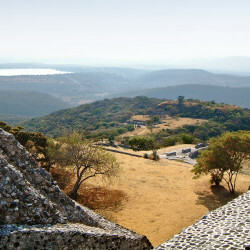 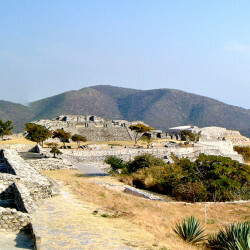 Tickets from 2001 Xochicalco’s mysterious history and dramatic wilderness location make it an incredible place to visit. 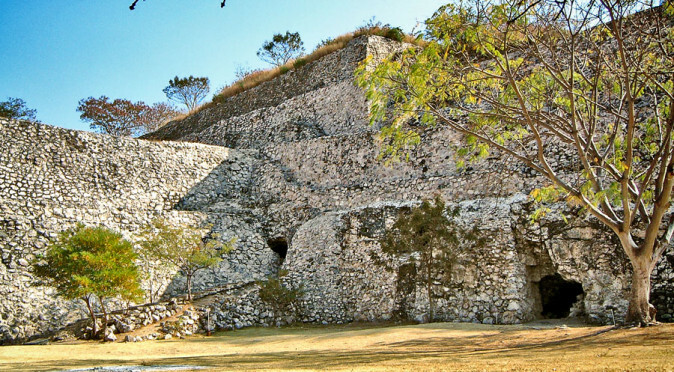 It is located a little more than 30 minutes drive from the charming city of Cuernavaca, which in turn is only an hour’s journey from Mexico City. 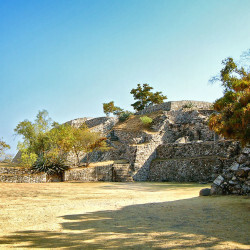 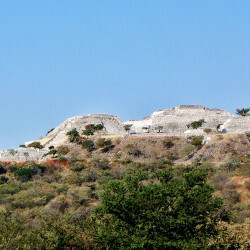 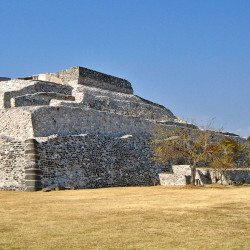 Therefore, reaching Xochicalco is very straight-forward and certainly worth the little effort it takes. 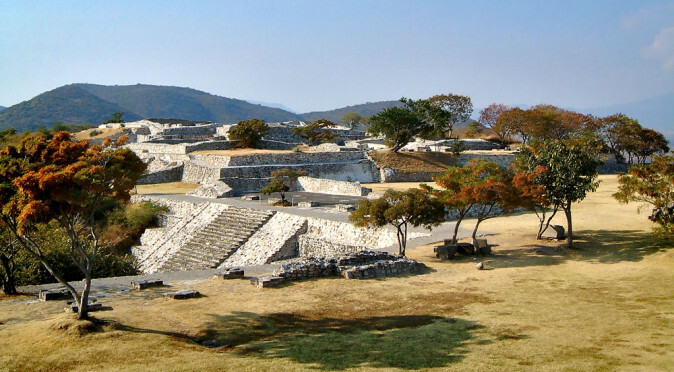 Despite the ease of getting there, Xochicalco is not burdened by tourism and visiting the site is a tranquil and enchanting experience, whether you are in to history or not. 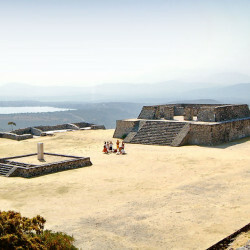 That said, locals and tourists will flock their during the period of the zenith, when Xochicalco’s Observatory is lit up by a fierce beam of light. 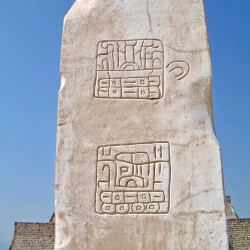 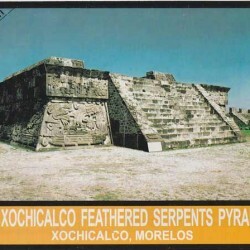 The main highlight of Xochicalco is undoubtedly the Pyramid of the Plumed Serpents, although standing in the Plaza of the Two Glyphs is a vastly more magical experience. 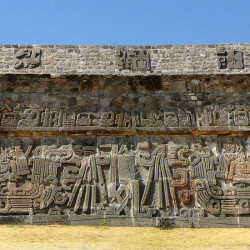 The Temple of the Stelae delivers both intrigue and miraculous views – although most buildings and spaces at Xochicalco offer spectacular views – whilst the Teotlachtli (or ball-courts) are some of the finest examples to be discovered.